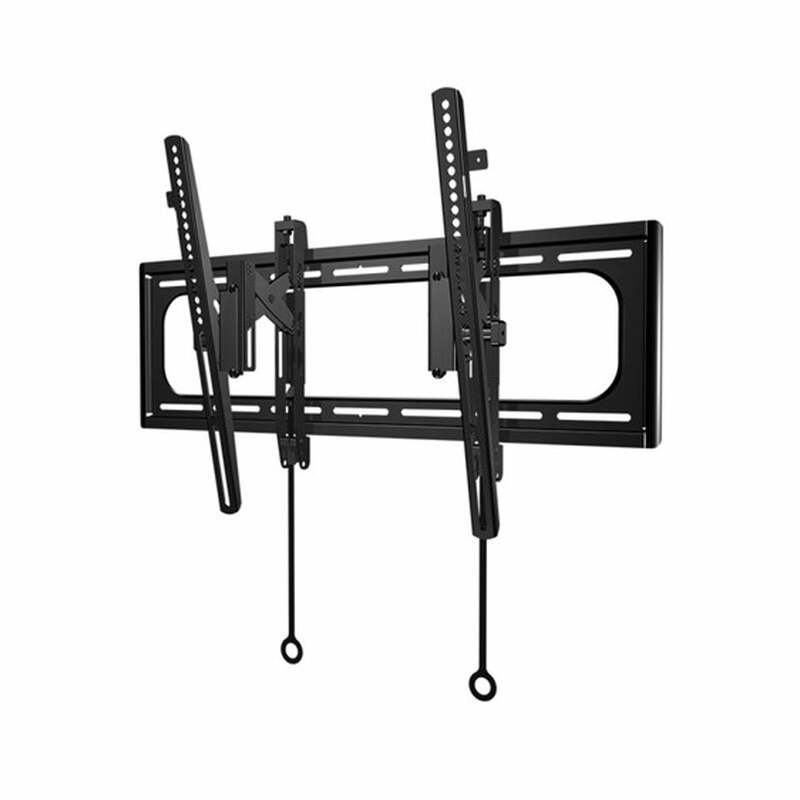 SKU: VLTB1 Category: TV Wall Mounts larger than 42"
Sanus VLT6-B1 Advanced Tilt Premium TV Wall Mount. It supports displays weighing up to 150 pounds with mount patterns ranging from 200 x 100 to 690 x 415 and provides -12 to 7° of tilt adjustment. You also have side-to-side shift and post-install height and level adjustments. ClickStand technology provides access to the rear of the display for simplified input/output access. An open wall plate design means the VLT6 can be mounted directly over electrical outlets for a simple power connection.